Whether they’re marketed as synthetic, lab-grown or created diamonds, this high-tech bling has definitely gone mainstream — as evidenced by Grown With Love, the Richline Group-owned brand now on sale at JC Penney and Macy’s. While labs have been producing these diamonds for decades, smaller niche companies have been catering to growing millennial demand for gems that are better for the environment and conflict-free. Earlier this year, industry giant De Beers shocked observers by reversing its long-term opposition to synthetics by launching Lightbox, a brand using created diamonds for fashion jewelry — but emphatically not for engagement rings. He acknowledges that even with lab diamonds, which are grown aboveground with clean technology, there’s work to be done: “They use energy,” he says. But they also offer value: For the same price, synthetic diamonds can be larger and better quality than their mined counterparts. 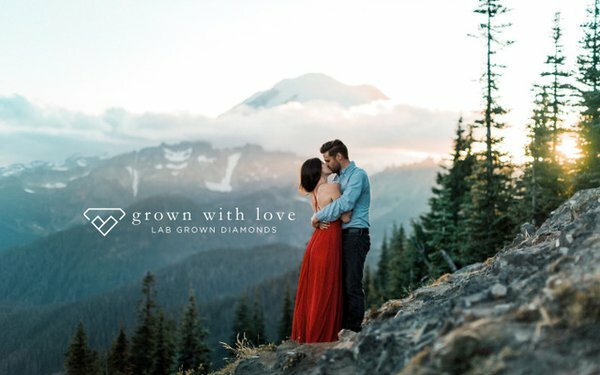 Marketing for Grown With Love, with prices that range from $500 to $10,000, includes an educational Diamond Challenge video and collateral, as well as sessions training Macy’s and JC Penney associates on the integrity, grading and analysis of lab-grown stones. Richline Group, owned by Berkshire Hathaway, also owns brands like LeachGarner, Inverness and Rio Grande. Morgan Stanley estimates that lab-grown gems still represent only a sliver of the diamond market, between $75 million and $220 million. (Industry estimates put the value of the entire market at $82 billion.) And while the cost to produce them isn’t that different–$343 per carat versus $367 per carat for mined–they typically sell for 30% to 40% less. But Morgan Stanley estimates that by 2020, synthetic diamonds could account for a 15% share of market in melee diamonds — a half carat or less in rough form — and a 7.5% share of larger diamonds.